The quick search option allows you to use the free text field and search across all relevant databases on the German Education Server. This works similar to Google: enter one or more search terms in the field (separated by blank spaces) and then click onto the magnifying glass to the right, or press ENTER. Please note you will be searching in English here. Wuhan School for Migrant Children in China. controlled by bourgeois intellectuals and aimed to replace their power by an egalitarian system of education based on his ideas" (see Glöckner 2013: 198). Following his death in 1976, China experienced a period of economic innovation and liberalization which also affected the education system. China reached top positions in the PISA 2009 and 2012 studies. On the other hand, the "high price" Chinese students allegedly pay for such outcomes has repeatedly been discussed in the media - the argument being that the students are subjected to high levels of pressure and stress. In this context, another book has raised attention, i.e. "Battle Hymn of the Tiger Mother" - written by a Chinese American mother. Here, the author argues in favour of a strict and authoritarian style of upbringing. 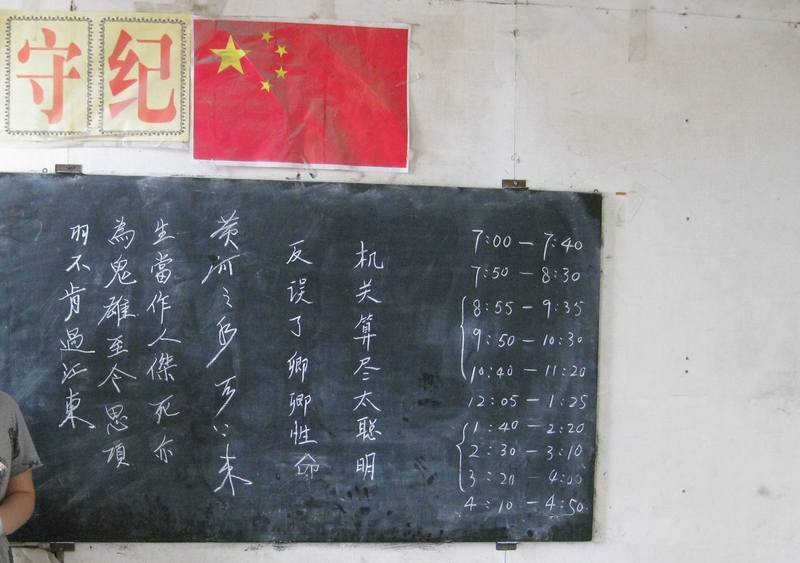 If you wish to seek a more in-depth and scientific approach to the history and current state of education in China, you might find the essay "Das Bildungswesen in China" (2013) by Caroline Glöckner interesting. The publisher has kindly granted us permission to publish this document online. The website, which is provided by the German Federal Ministry of Education and Research (BMBF), provides a broad overview over research and education in China, including information on statistics, educational reports, policy or cooperation with Germany and other countries. Additionally, you will find basic country data. The website LIPortal (Country Information Portal) is provided by the German Society for International Cooperation (GIZ). Under the category "society and culture" (Gesellschaft und Kultur) you will find a short overview over the Chinese educational system including a few links. In the section "Foreign and European Policy", the Federal Foreign Office of Germany provides basic information on different countries, amongst others on their education systems. This text about China provides a brief introduction to the current developments in education in China. A signboard on a (school?) 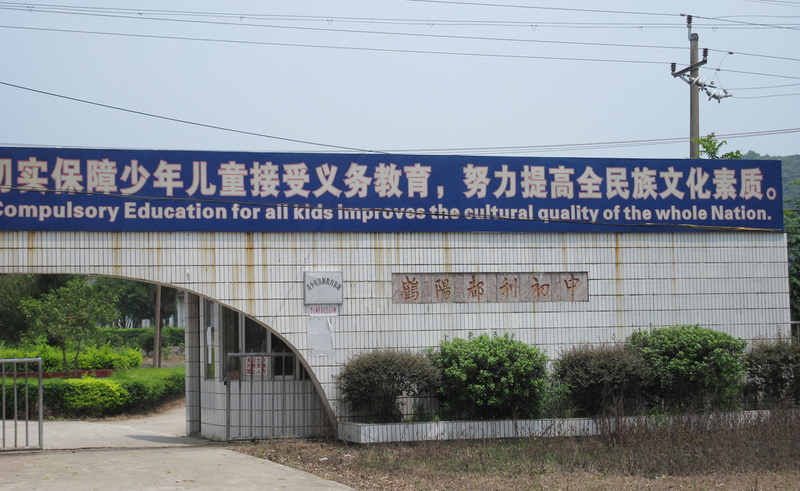 building in Yangshuo county, China: "Compulsory Education for all kids improves the cultural quality of the whole Nation"
The Chinese Ministry of Education provides educational statistics for different educational sectors starting from 1997. The labelling of the categories is in Chinese, but the single documents with the content have an English translation. "A video series [including a written report] profiling policies and practices of education systems that demonstrate high or improving performance in the PISA tests." An additional report compares the People's Republic of China to the Special Administrative Region of Hong Kong. Education at a Glance 2011. Country note China. 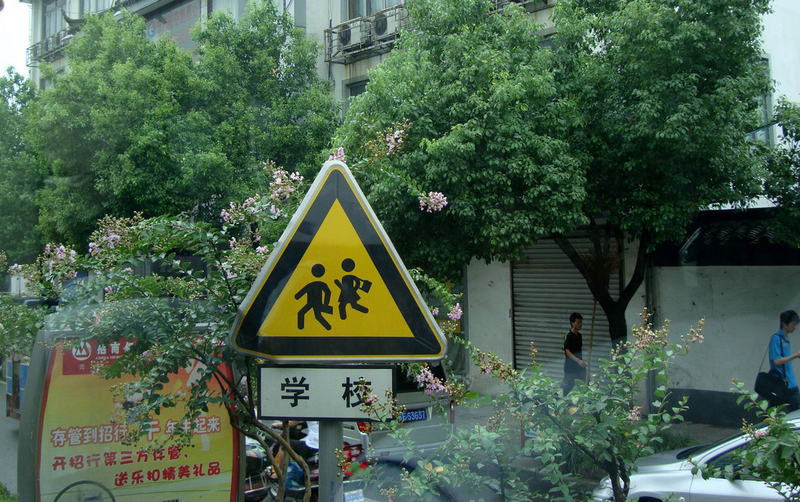 Street Sign with stylised school children in Suzhou, China. China's Cooperation with Africa, and Especially South Africa, in Education and Training. A Special Relationship and a Different Approach to Aid? China in African education – A force for good? On the Issues Concerned with China-Africa Education Cooperation. Chinas Higher Education Engagement with Africa: A Different Partnership and Cooperation Model?